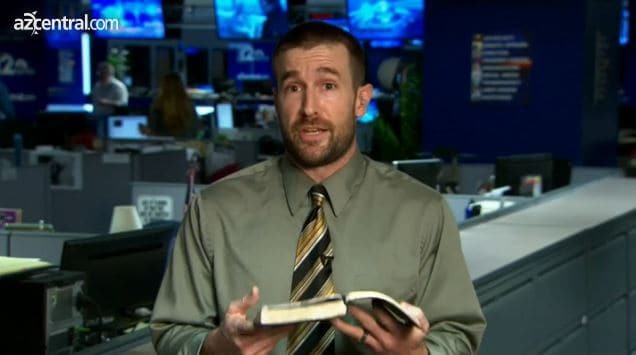 An Arizona news anchor has challenged nasty anti-gay preacher Steve Anderson on his recent call for the stoning to death of all gay people, reports the Advocate. Anderson, pastor of the Faithful Word Baptist Church in Tempe, claims that “according to the Bible, homosexuality is a capital crime." He masterfully avoids Curtis’s question as to whether he would want one of his own children to die if they were gay, arguing that homosexuality is a “fallacy” because people only become gay when the reject god. He admits that if he did have a gay child he would reject them.